Online ordering menu for Beau Jo's Pizza. 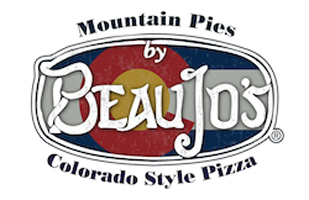 Welcome to Beau Jo’s Pizza, the only place you can get a real Colorado style pizza! Started over forty years ago in the beloved Idaho Springs, Colorado location, we had a simple mission: Make hearty, delicious pies with freshest ingredients available, all while connecting with the community and giving back. A few of our specialty pies include the Hamburger Combo Pizza, Cajun Pizza, and the Hawaiian Pizza. We also serve calzones, soup, pasta, and sandwiches! We're located at the corner of Lincoln Avenue and 7th Street. We're near Emerald Mountain and the Steamboat Art Museum. Order online for carryout or delivery!